Figuring out how to choose a wedding venue is one the first steps on your planning journey. Here's how to find the wedding location of your dreams, stress free. The venue you select for your big day really sets the tone for your event, whether you go for a casual beach to a majestic ballroom. When it comes to how to choose a wedding venue, the whole process can feel pretty daunting and there are lots of questions that you'll need to answer. Will your wedding be big or small? Outdoors or indoors? Rustic or glam? Settling on the basics of your wedding will help you and your partner narrow down the many venues out there, and find the one that’s right for you. Here’s the rundown of how to choose a wedding venue, from start to finish. Choose your wedding’s general location. In our parents’ and grandparents’ generations, weddings were traditionally held in the bride’s hometown. Nowadays, however, your wedding can be held anywhere—either partner’s hometown, the city where you currently live, a favorite vacation spot, even a destination that you’ve always wanted to visit. There are certain benefits to hosting a hometown wedding (convenience! ), but destination weddings certainly have their perks, too (amazing backdrop!). You’ll want to select the general location where your event will take place first and foremost, as this decision will affect all the other details of your big day, from your budget to your venue options. When it comes to how to choose a wedding venue, one of the most important decisions you’ll make is how much you can spend on a space. And it turns out that your venue and catering will compromise about half of your wedding budget. In the U.S., couples spend an average of $5,400 on their venue alone, with most couples spending between $2,700 and $10,500—not a small amount by any stretch. 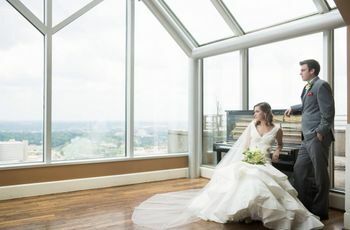 How much you’ll spend on your venue really depends on where you’re planning on marrying—renting a venue in a major city will likely cost more than one in a more rural area. Talk to your partner and any loved ones who may be contributing financially to your big day and come up with a total budget—then divide that number by half to determine the amount you can spend on your venue and catering (which may end up being a combined cost if you select an all-inclusive venue). Come up with an estimated guest count. Every wedding venue has a capacity—a firm number of guests that it can comfortably hold. This number is usually not flexible, so while you don’t need to come up with an exact number of guests before selecting a venue, you’ll need to have a pretty good estimate. There’s a pretty big difference between a venue that can accommodate 75 guests, and one that can hold 500. Don’t just pull a guest count out of thin air (“I want a 100-person wedding!”). Sit down with your partner and respective families to come up with a list so there won’t be any major surprises later on (you can always add or subtract a few guests if you need). The last thing you want is to fall in love with a wedding venue with a 200-person capacity only to realize that you have a 350-person guest list. Once you have a location, budget, and guest count, it’s time to start thinking about what your dream venue would look like. 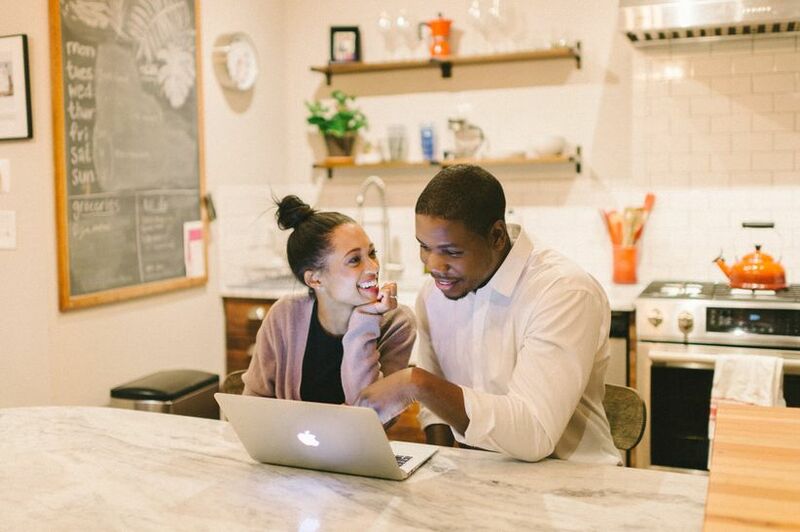 Sit down with your partner and choose three features that your ideal venue would have. 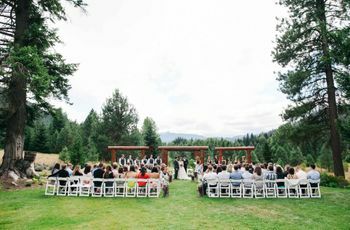 For example, an outdoor ceremony space, in-house catering, and a rustic feel might on your must-have list. Or perhaps you’re looking for a venue that’s conveniently located, pet-friendly, and allows you to choose an outside caterer. The possibilities are endless and each couple’s priorities will be different. Booking a wedding venue means that you’ve officially “set the date” for your big day. You may already have a wedding date in mind, or you may be able to be a bit more flexible. 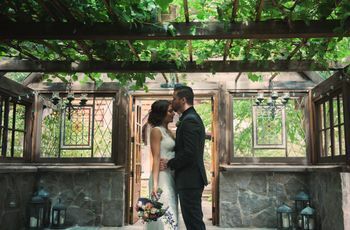 Either way, one of the first steps of how to choose a wedding venue is to narrow down a few dates that you know will work for you, your partner, and your closest loved ones. While saying that you’re getting married “next fall” is a good start, you should have some specific dates in mind before looking at venues. While some couples may figure out their wedding date based on when their dream venue is available, we recommend picking a few dates before starting your official venue hunt. Start your venue search online. Phew! After figuring out all of those details, you can now actually start looking at wedding venues. Use a site like WeddingWire to browse wedding venues in your area, read reviews from past couples, check out photos, and much more. You can even narrow your search down by your desired capacity, availability, type of venue you’re interested in, and other amenities, from catering to insurance and more. We recommend perusing venues online as a joint effort with your partner, working together to create a short list of venues that you’d like to learn more about. Reach out to a few venues with some basic questions. Once you’ve narrowed down a list of five or so venues, send each one a message expressing your interest and asking a few questions. These questions should include if they’re available on your desired date, confirming their capacity, and ensuring that they offer the top priorities you discussed with your partner earlier. You can also request pricing information to ensure they’re within budget. This initial communication can be also helpful in determining if a venue’s staff is responsive and helpful. Receiving a friendly email within a relatively short timeframe (remember that venues are likely quite busy on the weekends with events!) is an encouraging sign. Pay a visit to your favorites. 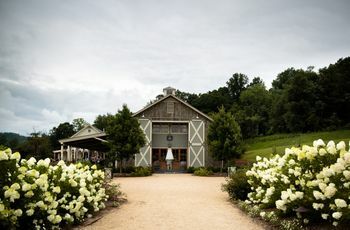 One of the most important parts of how to choose a wedding venue is actually visiting a few select locations in person. 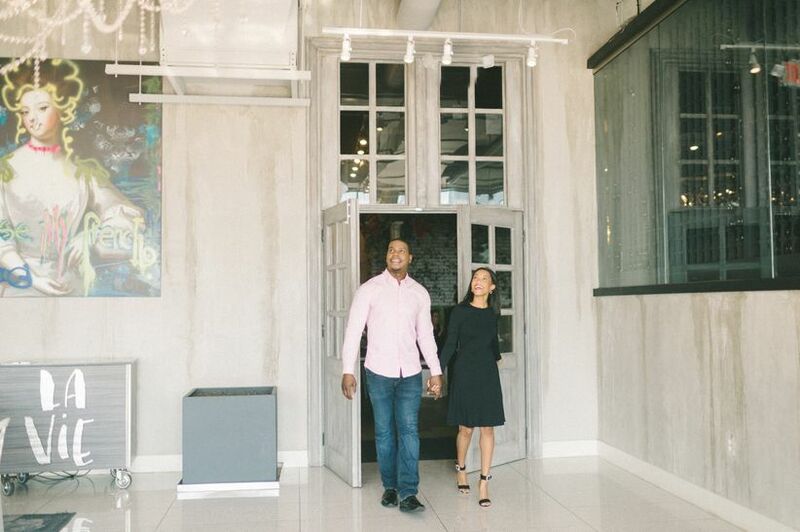 At these in-person visits, you’ll be able to tour the space and decide if it’s the right fit for your big day. Venues may look one way in photos, but entirely different in person so while visiting event spaces might cut into your schedule, they’re super important. You’ll also be able to meet with the venue coordinator, ask any additional questions, and see if you click with the staff. If you fall in love at first sight with a particular venue, it can be a pretty amazing feeling. However, don’t feel too much pressure to sign on the dotted line during your initial tour. It’s best to take a step back, tour a few venues, and discuss your options with your partner and, if desired, your families. Think about the pros and cons of all of the venues you toured, and work together to come to a decision on your top choice. You may think that you’ve found the perfect space for your big day, but perhaps your partner has some concerns. While you and your partner might not agree on every aspect of your big day, you should both be happy with your choice of venue. If that means touring a few more venues to be sure you’ve found “the one,” do it. Sign on the dotted line. When you and your partner have agreed on your desired venue, ask to receive a contract. While it can be really easy to breeze through a contract and just sign it without much thought, a venue contract is definitely worth a close read. 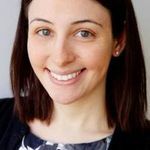 Don’t be afraid to ask the venue coordinator about any portions of the contract that confuse you, and be sure you understand the payment schedule. When you feel comfortable with all aspects of your venue contract, sign it, return the paperwork to the venue, and pop some bubbly! You’ve officially made what’s arguably one of the most important decisions you’ll make during your wedding-planning process—and that’s definitely worth celebrating.